Come one, come all and grab these free Preschool Circus Printables! 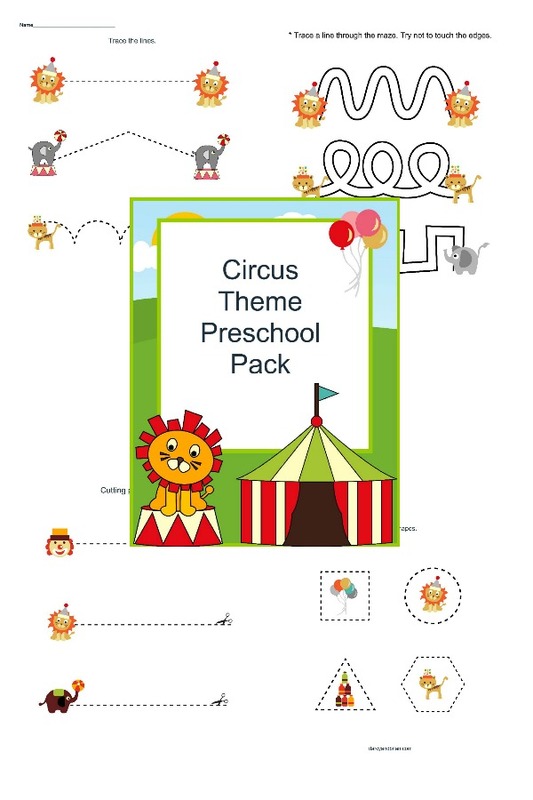 This circus themed printable pack features cutting, tracing, and coloring activities. Perfect for practicing preschool skills! 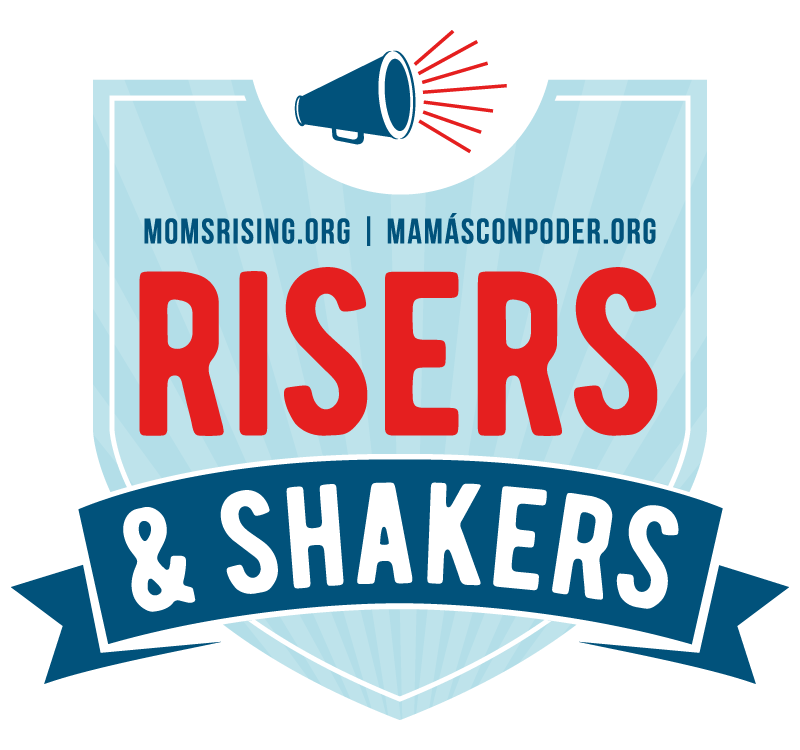 Use them for homeschooling or classroom centers. This post contains affiliate links, which means we may earn a small commission if you make a purchase. Are you looking for some fun worksheets for your preschooler to work on? 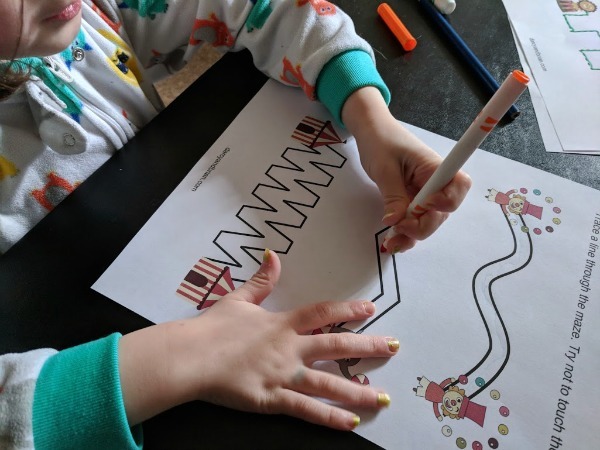 My little guy loves tracing pages and he loved working on these circus themed printables while home from school. He currently attends a half day of school preschool, so I like to have supplemental learning activities for him. Some days are more hands-on activities, other days he's learning through play, and sometimes we use printables. This packet includes several tracing pages, a page to practice scissor skills by cutting along the dotted lines, and a circus coloring page. The tracing pages feature straight lines as well as more complex line paths to follow. These help preschoolers work on early writing skills and practicing how to hold a pencil. I asked Xander if he wanted to use colored pencils or markers. He chose a combination and used a different color for each line. Have you seen the movie “The Greatest Showman” yet? Our whole family loved it! We've all seen in more than once and listen to the soundtrack daily. I think that is part of why Xander was so excited about our new printable circus activity pack. Make it extra fun by cranking up the music from “The Greatest Showman” while working on these activities! I loved listening to his imagination as he told little stories about helping each elephant, lion, clown, etc. get from one side of the dotted lines to the other. There is a page for tracing shapes, so we talked about what those shapes are and counted the sides on each one. You can easily add additional learning throughout this packet or use it as a quick quiet time activity! Scissors for preschoolers – I like that these are blunt scissors that cut paper but protect little hands as they learn how to use scissors. Subscribe to receive your printable pack weekly updates by email, and access to our latest printables. 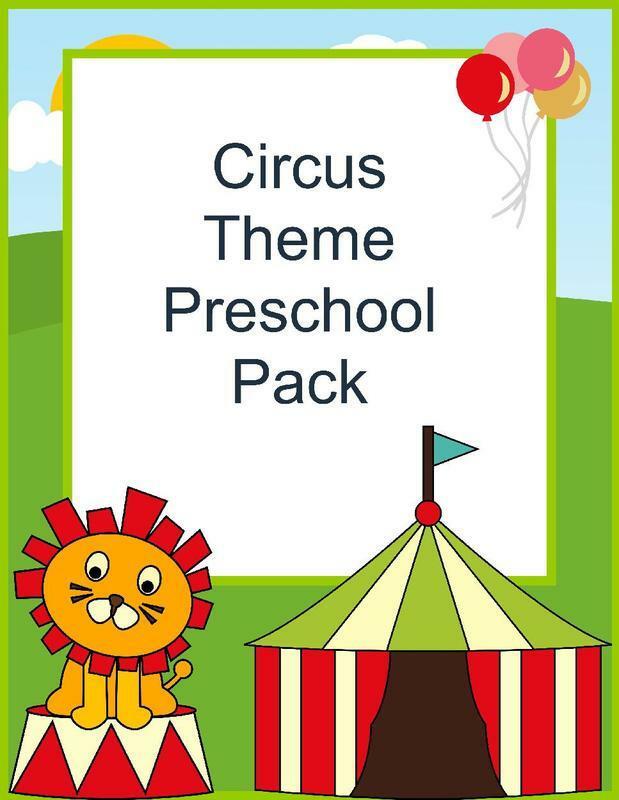 I hope you enjoy using these preschool circus printables with your child or students! These are for personal use or classroom use only. Please share this post with someone you know who would like to use this printable packet too!